The Advanced Teacher Training (ATT) + 300 hours is an advanced training for yogis who have completed a 200 hours Teacher Training. Contents are the accompanied deepening of the own practice, security with correcting and assistance. Further topics are Ayurveda, Yoga Nidra, intensive pranayama and meditation, didactics and the role of the yoga teacher, yin yoga and fascia, yoga for pregnant women, yoga according to the principles of Ayurveda and the Doshas as well as deepening the yoga philosophy. Applied yoga anatomy, joint and muscle mechanics in theory and practice. Anatomical aspects of all asana groups, individual bone structure and personal alignment. Yoga tools and accompanied self-practice for personal development. The anatomical findings and the knowledge about alignment of module 1 are put into practice. We learn meaningful, attentive and helpful adjustment (assistance). Anatomical and physiological basics of pranayama. Sense and nonsense of the breathing space. Breathing, stress and nervous system. All important pranayamas are practiced and their effects explained in detail. 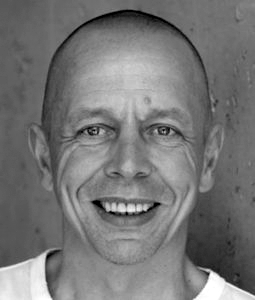 Practically applicable and understandable philosophy of Yoga with Ralph, the experienced and Germany-wide known author. Patanjali’s Yoga Sutra’ is already a standard work after only a few years. Patanjali, Sankhya and Baghavad Gita. How do I organise myself as a yoga teacher and where do I see opportunities for improvement? Which other target groups would I like to address? This morning we will work out your personal ideas and objectives. Didactics in yoga classes for beginners and advanced students, group leadership skills, self-protection and energetic and psychological problems in teaching. Finally, we teach other yoga teachers and get suggestions and feedback. Training contents: Asanas, alignment, anatomy and yoga therapy. Didactics, group dynamics and the role of the modern yoga teacher. Pranayama, self-reflection and personal development in yoga. Ralph has been involved with Eastern philosophy and mysticism for 20 years and publishes books on spiritual philosophy. His thinking and research is accompanied by intensive, own practice. His translation of Patanjali’s Yogasutras has become a German standard work since its publication in 2011. 2012 followed his book on Yoga Nidra, 2013 the Baghavad Gita and in 2014 the Psychology of Yoga. Training contents: Basic medical knowledge, yoga history, stylistics, vinyasa karma, mudras and drishti, hands-on and adjustment. Meret studied with world-renowned teachers such as Gary Kraftsow, Larry Payne, Aadil Palkhivala, John White, Amy Weintraub, and Stephen Cope. She attended yoga therapy trainings with Aadil Palkhivala, Ganesh Mohan, Doug Keller, Roger Cole and Richard Hackenberg. Her dream of being as light as a feather has been fulfilled with yoga at all levels and affects her teaching style. Well aligned asanas according to aspects of B.K.S. Iyengar, with the focus on breathing and the feeling of inner forces, lead to the sources of one’s own life energy. 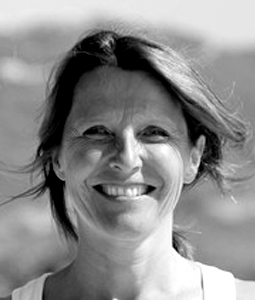 Marion has been working in the field of sport and health in adult education since 1994. She teaches yoga and other holistic movement concepts. She completed her more than 1500 hours of yoga and ayurveda training with the internationally renowned fascia researcher Dr. Robert Schleip. 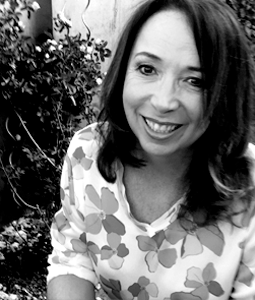 In her lively, everyday classes she combines yoga and Ayurveda, integrates elements from fascial training and attaches great importance to correct alignment. She teaches powerful Vinyasa Flow Yoga, mindful Hatha Yoga, therapeutic Yoga, Pranayama and Meditation. Since 2010 she has managed the YOGASCHULE and AKADEMIE YOGA freiraum together with Sabrina Steinberger, among others. Sabrina started yoga in 2004 and has been impressed by the deep effects of asanas, pranayama and meditation from the very first moment. Through regular training and further education in yoga and Ayurveda, she intensifies and expands her knowledge and lets her own experiences and knowledge flow into your yoga classes. 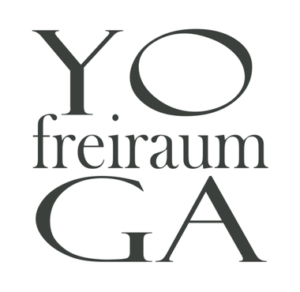 Today she leads the YOGASCHOOL and AKADEMIE YOGA freiraum with Marion Hofer.